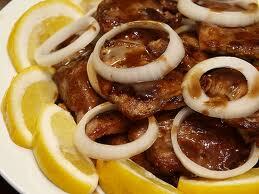 Marinate beef in soy sauce, calamansi, salt & pepper for 30 minutes. Saute onion rings in oil. Serve beef in a platter topped with onion rings.